Commemorative stamps are among the most popular types of stamps to collect. Typically, commemorative stamps are issued annually in honor of famous people, special events, places and anniversaries. Selling commemorative stamps to other collectors can be accomplished in several ways. It is important to note that commemorative stamps are usually printed in mass quantities, and most stamps are not particularly valuable. However, some value can be obtained through the selling of large, whole collections and/or special stamps that are valuable. 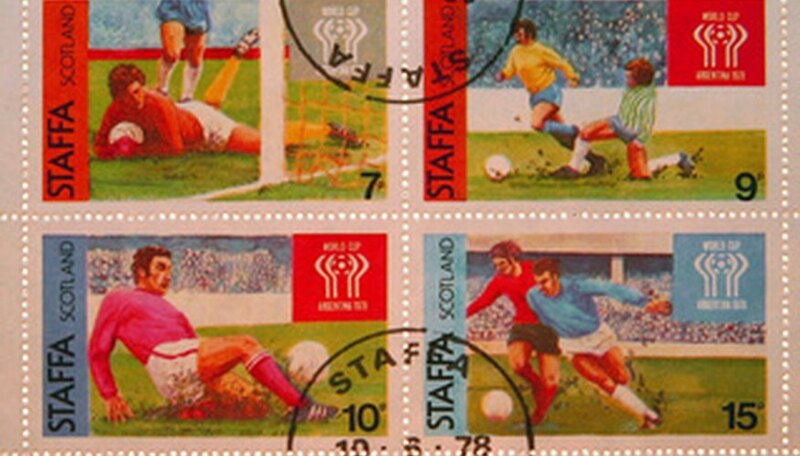 Research the value of the commemorative stamps you want to sell. The standard guide to estimate the value of a stamp is the Scott Catalogue, which is issued annually. This catalog will also help you to grade your stamp's condition. A magnifying glass will be useful to both examine your stamp and read the fine print in the Scott Catalogue. A perforation gauge will also be useful to help in stamp identification. Sell directly to other stamp collectors. This involves simply offering to directly sell your commemorative stamps to other collectors. The price can be negotiated between the two parties. Offer the stamps to collectors you know or network to find them through local stamp clubs. Most stamp clubs can be found online through the American Philatelic Society. Sell directly to commercial stamp dealers. This is probably the easiest method, and they can be found online from the American Philatelic Society or the American Stamp Dealers Association, Inc. The dealer will simply make an offer on your collection. However, you will have to be prepared to sell the commemorative stamps for less than they are worth. The dealer is going to offer wholesale or less than wholesale prices since their goal is to turn a profit on your collection. Offer to sell your commemorative stamp collection on consignment to a dealer or auction house. There will be a fee involved, but it is possible to make more money selling the collection this way as opposed to selling directly to a dealer. Sell online (Ebay for example) or rent a display case at a flea market or antique store. If you have a large collection of commemorative stamps, it may be worthwhile to sell them in this manner. You will have to weigh the cost of renting space versus how much you will make selling the stamps. Take your commemorative stamp collection to a stamp show, and show it to several prospective buyers at once. Then sell the collection to the best offer. First, check to make sure that the stamp show is allowing the buying and selling of stamps. There may be a fee involved to acquire space at the show. Have low expectations. Most people are disappointed to discover that their collections are actually worth very little in terms of monetary value. Unused or mint stamps in good condition are much more valuable than used or canceled stamps. In addition to using the Scott Catalogue, a professional appraisal to determine the worth of your collection may be useful for large or particularly valuable collections. Do not expect to get catalog value for your commemorative stamps. What a stamp is worth and what you can sell it for are two different things.